Gulfware Supports The Government Summit 2014 | Gulfware International Technologies, LLC. 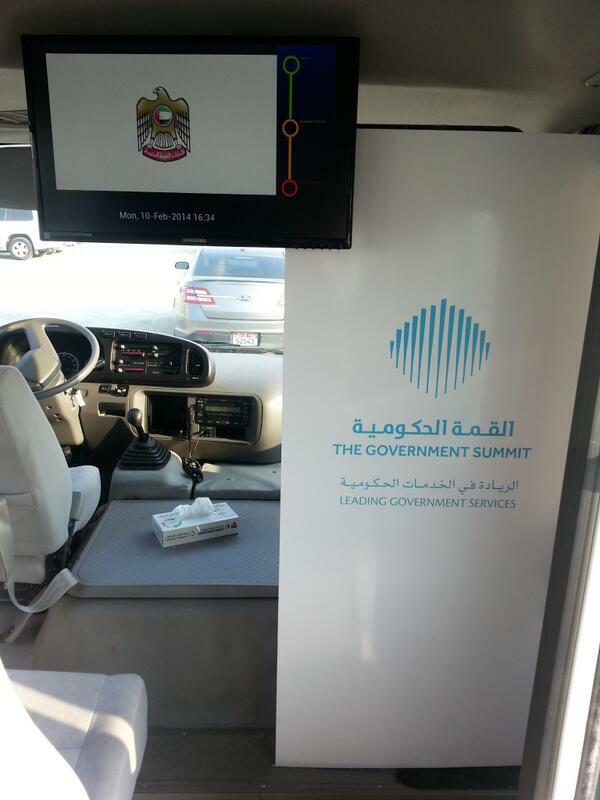 Gulfware is proud to be part of The Government Summit 2014 in Dubai organized by The Government of The United Arab Emirates. The Government Summit is a forum for the exchange of new and innovative thinking in the field of improving citizen happiness, the future of government services and transformative governments, that can adapt to the expectations of citizens across the globe. The Summit strengthens international cooperation between public and private sectors. 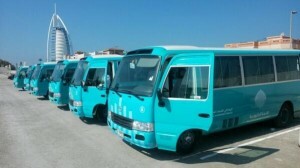 Gulfware provides in-vehicle information system for the delegates who took shuttle bus from various parking area to the event venue in Madinat Jumeirah. Each bus is equipped with 4 WiFi routers, GPS tracking device and a tablet computer connected to big screen TV. During the journey, the passengers could use the Internet via WiFi while the TV shows various informational video clips about the event as well as displaying the current location, estimated time arrival, current weather and occasional announcements. The event attended by over 3000 people and was a big success. Shuttle Buses with in-vehicle information system. Realtime map of the bus locations with estimated time of arrival.